Perhaps you know that you need a car service. But, you also know that you need all the time you can find and do not need the inconvenience of having to leave your car at a mechanic?s workshop. Mobile mechanics offer an effective and beneficial solution as it is their mandate to come to you, wherever you are. Offering great service and convenience, quality mobile mechanics offer a comprehensive car service as well as car repairs with integrity and attention to safety. Mobile mechanics that travel to you ? this may be at your home, work or any other place that is convenient for you. Hopefully not, but it may be the case that your car has broken down. In this circumstance too, a mobile mechanic can travel to meet you and provide car repairs. Expertise and experience ? the highest quality mobile mechanic services and companies employ highly qualified and experienced mechanics. Such mechanics will not only be able to quickly diagnose and pinpoint problems with your car, they will also be able to offer solutions. If carrying the required tools and parts, the mechanic may be able to complete your car repairs then and there; if not, they will be able to organise transportation of your vehicle and the required repairs to have your car back on the road and functioning effectively. Convenience ? Many satisfied customers of mobile mechanic services enjoy the peace of mind that comes with knowing that their car is being serviced and repaired while they work or go about their everyday activities at home. 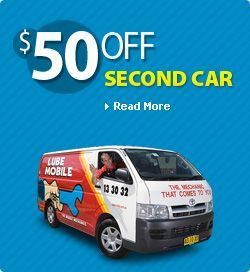 As mobile mechanics are tasked with servicing and repairing your vehicle thoroughly, quickly and in a cost-effective manner, there is often little effort required or stress induced on the part of the vehicle owner. Ability to address a huge range of car repairs and service components ? As mobile mechanics are highly skilled and experienced, as well as equipped to offer an extensive range of car service components and repairs, customers can feel confident that most things requiring attention on their car can be attended to immediately. Mobile mechanics are able to repair problems affecting your car?s electrical, air conditioning, transmission, engine, alternator, fuel injection or braking system. Mobile mechanics can also provide an effective response to problems such as: engine misfiring, unusual noises, electrical shorts and vehicle tuning. Inspection of work ? When a mobile mechanic completes their work at your home or workplace and therefore in close proximity to you, communication is far easier and a sense of satisfaction can often come from seeing a professional working on your car. Your mobile mechanic will also be able to discuss with you the work undertaken and any car repairs that are necessary. Part of their explanation will often include a ?show and tell? of worn parts and this in itself can raise customer confidence that the work being undertaken will enhance car safety and performance. Cost ? Most often, when using a mobile mechanic there will be a fixed price for servicing of which you will be advised prior to the commencement of work. For necessary and advisable repairs, quality mobile mechanics representing reputable companies will provide you with information and a breakdown of car repair costs. Using a mobile mechanic for your car service needs eliminates the inconvenience of traditional car servicing. No longer do you have to wait around or experience the disruption of having to leave your car somewhere and be without transport while it is worked on. As mobile mechanics come to you and offer a comprehensive, high quality service that provides close attention to detail, you can feel assured that your car is in the hands of a professional and will be back on the road as quickly as possible ? but with superior performance and safety.